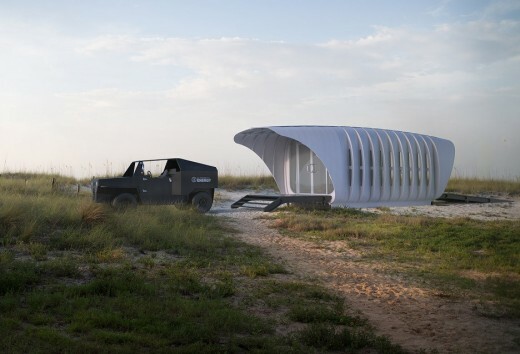 Architecture practice SOM has created a 3D-printed structure that generates its own power and shares energy with a companion vehicle, providing a model for off-grid living, reports Dezeen. Skidmore, Owings & Merrill (SOM) worked with the US Department of Energy’s Oak Ridge National Laboratory to create the curved pavilion. 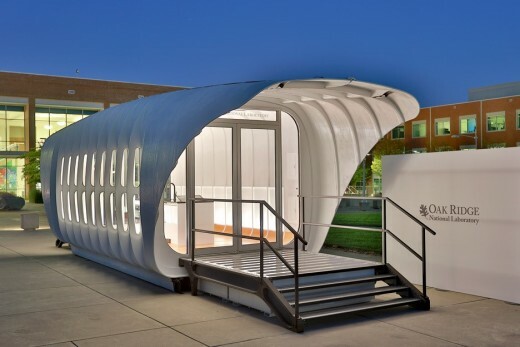 The architects claim the pavilion is the world’s largest 3D-printed polymer structure. 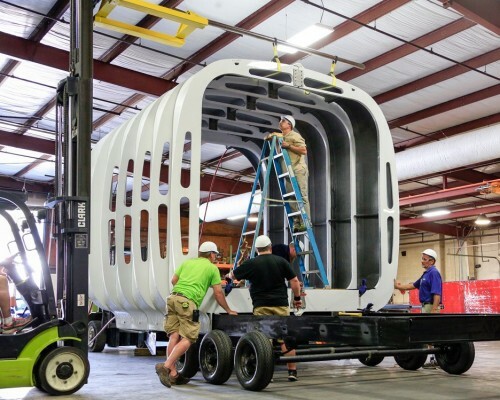 A closed-loop battery system links it with a vehicle designed by Oak Ridge, which was made using the same technology. The project was developed as a prototype for an initiative called the Additive Manufacturing Integrated Energy (AMIE), which aims to foster new ways of thinking about the generation, storage and usage of electrical power. 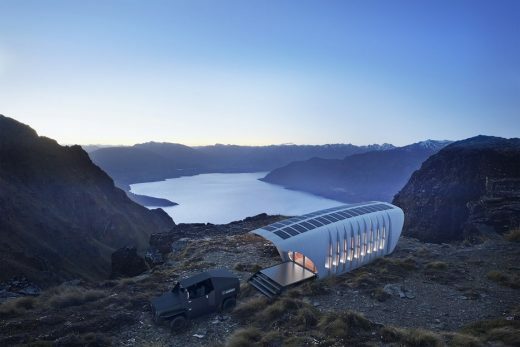 The prototype is meant to show how energy can be shared between a building and a motorised vehicle. The pavilion building was presented to the public for the first time at the International Builders’ Show in Las Vegas, USA, 19 – 21 January 2016. 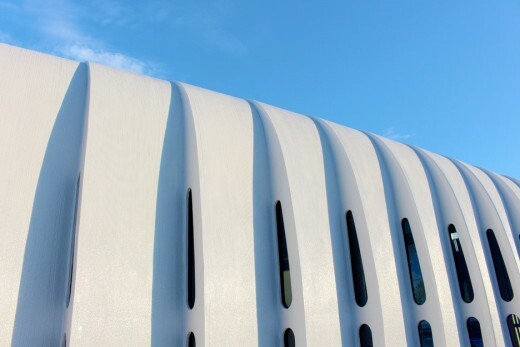 The pavilion is composed of 3D-printed panels that act as exterior cladding, but also provide structural support, insulation and moisture protection. This design reduces construction waste and material usage. 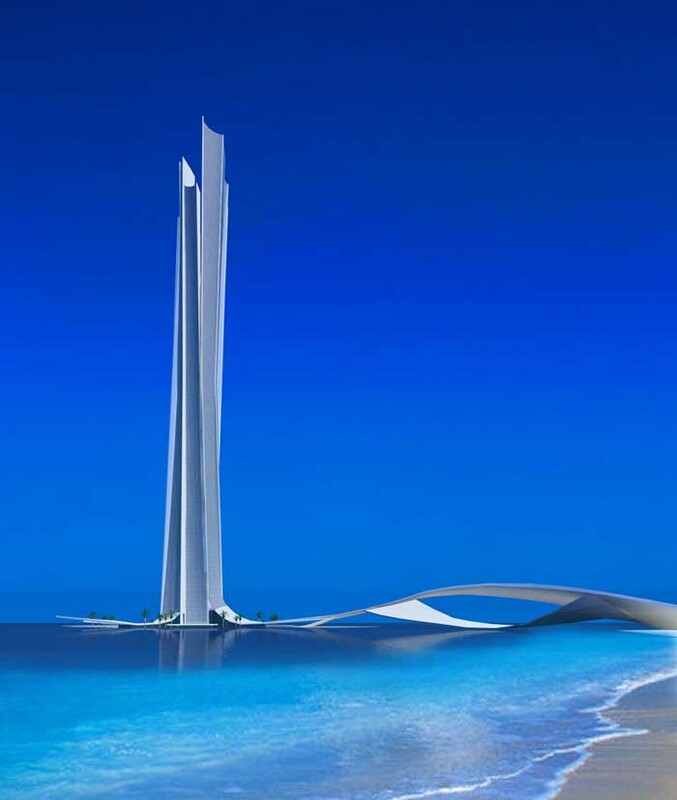 The structure measures 38 feet long (11.6 metres) by 12 feet high (3.7 metres) by 12 feet wide (3.7 metres). The building envelope comprises approximately 80% opaque panels and 20% glazing, resulting in a highly efficient enclosure. Solar panels are integrated into the roof and feed a battery under the building, which in turns powers the structure at night. 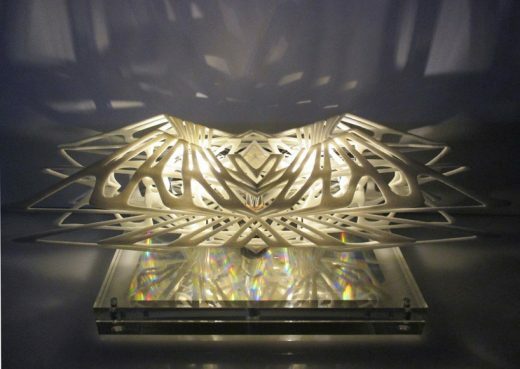 The 3D-printed vehicle generates its own power, too, using a hybrid electric system. Both the pavilion and the car share power with each other through a wireless system, in which power is transmitted via electromagnetic fields, and is then captured and distributed by a receiving device.